In Situ is Now Available! July 10, 2012 / R.S. Hunter / Comments Off on In Situ is Now Available! 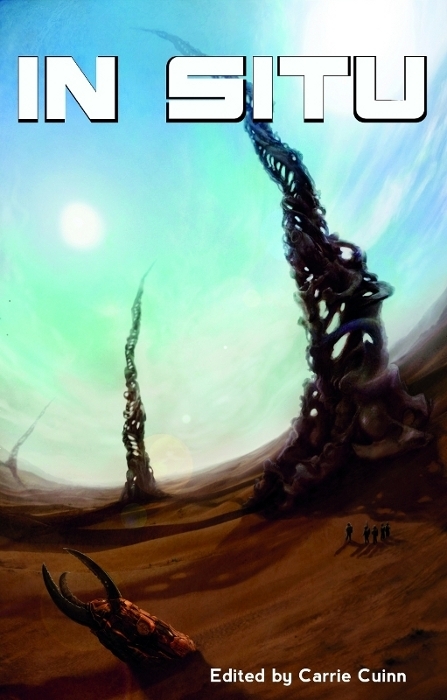 In Situ, a new science fiction anthology from Dagan Books that is centered around archaeology, is now available for purchase! The wait is over! My story, “Jewel of Tahn-Vinh” is a science fiction horror story about things left adrift in the depths of space that are better left alone. There are other great stories in the anthology, and I have to say that Ken Liu’s “You’ll Always Have the Burden With You” is quite fantastic. In Situ is available in DRM-free ePub format for only $3.99. To get a copy for Kindle, buy it here . And the trade paperback is also available from Amazon .